A bid by developers behind the new town of Chapelton to reduce their financial contribution to transport has been rejected. Earlier this month, Kincardine and Mearns councillors refused to back the application, which, if successful, would have seen the developers’ contribution to the North East Strategic Transport Fund reduced from £8.16 million to £287,000. The requirement to provide £8.16 million was one of the clauses which were put in place when planning permission was granted for Chapelton. However, the developers argued that transport impact assessment showed the wider impacts were modest and did not justify the level of contributions sought. 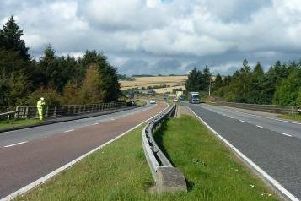 Aberdeenshire Council officers said the development would cause traffic to increase of up to 16% on the A90 south of Charleston, and that at all River Dee crossings there would see an increase of up to 29%. Construction work has already begun on the new town, and the first residents moved in last month. It is expected that 4045 new houses will make up the new town, as well as associated roads and infrastructure. Building work on Phase 1A is under way, and consists of 802 dwellings, retail, commercial and civic buildings, drainage, landscaping, open space and roads infrastructure. They are also contributing 525 affordable homes, £32.5m towards three primary schools, £500,000 towards additional space for playgroup/nursery provision and £21.6m towards secondary education as well as land for a health centre, a new roundabout at Newtonhill and a grade separated junction at Bourtreebush among other contributions. Commenting afterwards, North Kincardine Councillor Ian Mollison said: “The matter has been decided by councillors, with the application by the developer being refused. It is now up to the developer to reflect on that decision by Aberdeenshire Council. What do you think? Let us know your views. Email us at news@mearnsleader.com, or phone (01569) 762859.